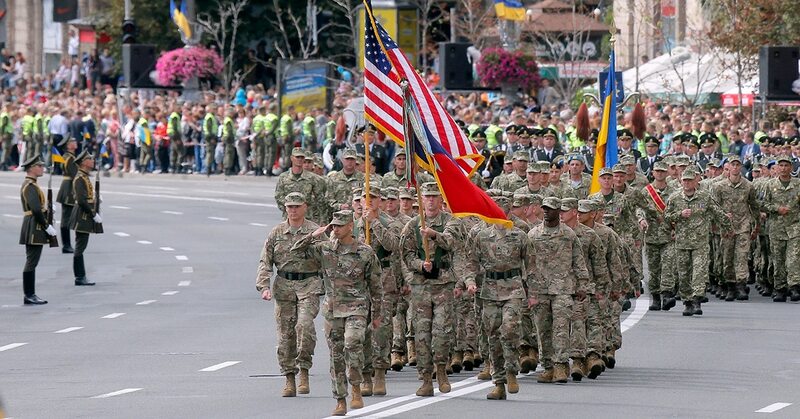 WASHINGTON — The Trump administration has approved a plan to provide lethal weapons to Ukraine, a long-awaited move that deepens America’s involvement in the military conflict and may further strain relations with Russia. Moscow responded angrily on Saturday. The new arms include American-made Javelin anti-tank missiles, U.S. officials said late Friday. Ukraine has long sought to boost its defenses against Russian-backed separatists armed with tanks that have rolled through eastern Ukraine during violence that has killed more than 10,000 since 2014. Previously, the U.S. has provided Ukraine with support equipment and training, and has let private companies sell some small arms like rifles. Russian Deputy Foreign Minister Sergei Ryabkov said the U.S. decision will only make the conflict more deadly and suggested that Russia could be forced to respond. He also said the U.S. can no longer cast itself as a mediator. “It’s not a mediator. It’s an accomplice in fueling the war,” Ryabkov said in a statement. The intensified support for Ukraine’s military also comes amid early discussions about sending U.N. peacekeepers to eastern Ukraine, to improve security conditions not only for Ukrainians but for monitors from the Organization for Security and Cooperation in Europe who are on the ground. The U.S. and other nations were cautiously optimistic when Russian President Vladimir Putin proposed to send in peacekeepers. But there are major disagreements about how and where the peacekeepers would operate, especially about whether they’d be deployed only on the “line of conflict” between separatists and the government. The U.S. and Ukraine want peacekeepers deployed throughout the separatist-controlled regions stretching to the Ukraine-Russia border. By approving a plan to provide lethal weapons to Ukraine, the Trump administration could see it as providing leverage in these negotiations. While some are skeptical about Putin’s proposal, others suggest he may be looking for a way out of the conflict. Alexander Vershbow, former deputy secretary general of NATO and a former ambassador to Moscow, said a U.N. peacekeeping mission could serve as cover for Russia to withdraw its forces and weapons from eastern Ukraine. The White House’s National Security Council declined to comment. In thanking the U.S. for its support, Ukrainian President Petro Poroshenko addressed the concerns over how the weapons would be used. AP Diplomatic Writer Matthew Lee, Lynn Berry and Vladimir Isachenkov in Moscow contributed to this report.